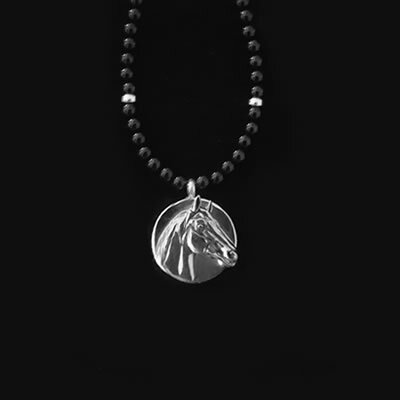 Man o’ War Onyx Disc necklace has sterling silver enhancer beads and toggle closure. 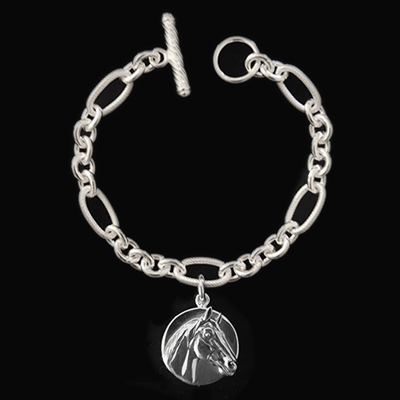 Measures 18 1/2 inches or specify length for special order. 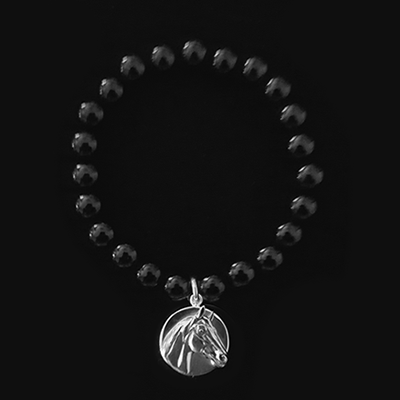 Man o’ War black onyx necklace is new with the disc design and celebrates his 100 year anniversary…..1917 – 2017. 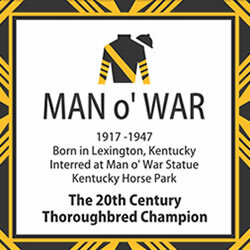 Called “the greatest hoss of them all” by his loving groom, Will Harbut, Man o’ War is a true legend, an American icon, and history’s most famous racehorse. 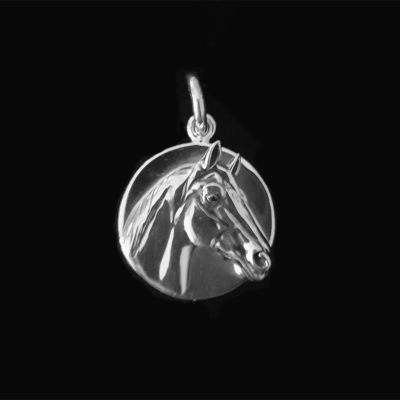 The necklace measures 18 1/2″ with sterling space beads and a secure toggle closure. It can be special ordered shorter or longer. The disc is stamped with his name on the back and comes in a gift box with commemorative card. Order yours today! Man o’ War (March 29, 1917 – November 1, 1947) was an American Thoroughbred who is widely considered one of the greatest racehorses of all time. During his career just after World War I, he won 20 of 21 races and $249,465 in purses. He was the unofficial 1920 American Horse of the Year and was honored with Babe Ruth as the outstanding athlete of the year by the New York Times. He was inducted into the National Museum of Racing and Hall of Fame in 1957.